HGM400LT series genset controllers designed especially for very low/high temperature (-40~+70℃) environment are integrate digitization, intelligentization and network technology which are used for genset automation and monitor control system of single unit to achieve automatic start/stop, data measurement, alarm protection and “three remote” (remote control, remote measuring and remote communication; SG485 module must be fitted). It fit with LCD display, optional languages interface (simplified Chinese, English, Spanish, Turkish, Russian and French), and it is reliable and easy to use. HGM400LT series genset controllers adopt micro-processor technology with precision parameters measuring, fixed value adjustment, time setting and set value adjusting and etc. 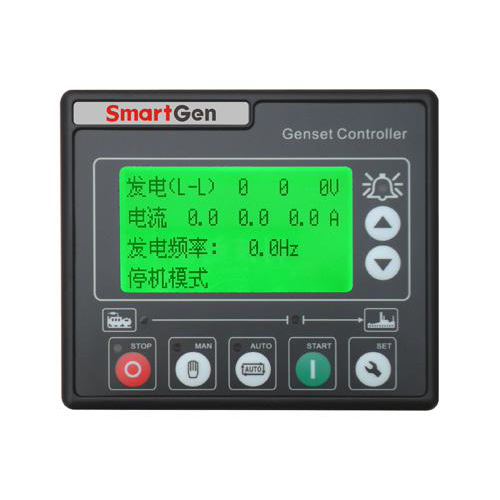 All parameters can be configured from front panel or through programmable interface (USB to LINK, SG72 adaptor produced by SmartGen is recommended) via PC. It can be widely used in all types of automatic genset control system with compact structure, advanced circuits, simple connections and high reliability. 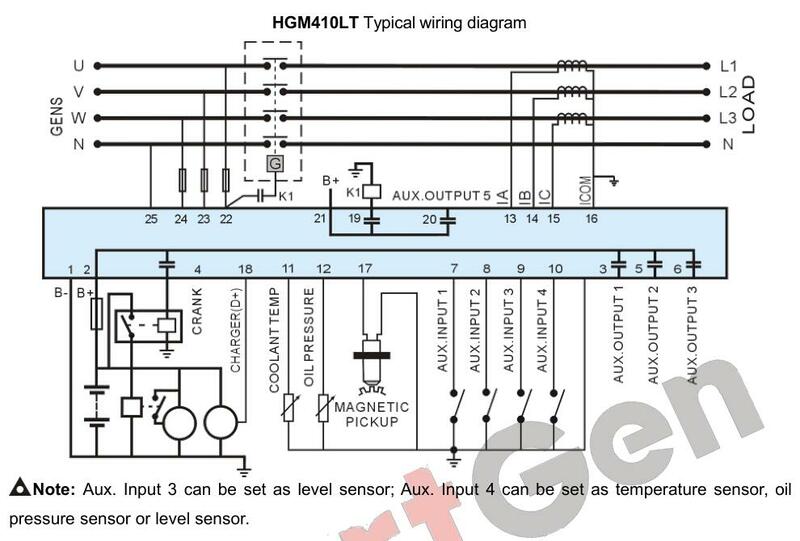 HGM420LT: AMF (Auto Mains Failure), updates based on HGM410LT, moreover, has mains electric quantity monitoring and mains/generator automatic transfer control function, especially for automatic system composed by generator and mains.